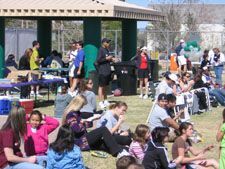 The first "Your Turn For Tennis" Kick-Off Carnival was held at Kiwanis Tennis Center on Saturday, February 24 from noon – 3:00 p.m. The weather was perfect and everyone had a great time! Over 120 Bigs and Littles participated and approximately half registered for the first set of follow-up tennis lessons beginning Monday, March 5 at Kiwanis Tennis Center. 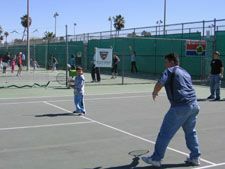 The program is a partnership between USTA Central Arizona and Big Brothers Big Sisters organization. For more information on the YOUR TURN FOR TENNIS program click here.